You may think that the electronic technology that powers your vape is the same as the electronics found in your smartphone, and, in a way, you would be right. Both of these devices are powered by batteries, but the one in your vape pen or mod is a bit more powerful than the AAA batteries you might find in, say, your TV remote or even the battery that’s built into your smartphone. Vaping requires a massive amount of power. In fact, vaping devices consume more power than just about any other consumer electronic device. That power is consumed at a tremendous rate, resulting in some serious risks. While modern devices are loaded with safety features designed to minimize the risk as much as possible, those powerful vape batteries can still be quite dangerous if abused or used incorrectly. 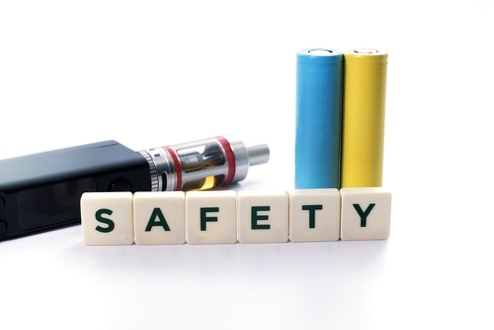 If you are a vaper, here are a few important battery safety tips you should know. 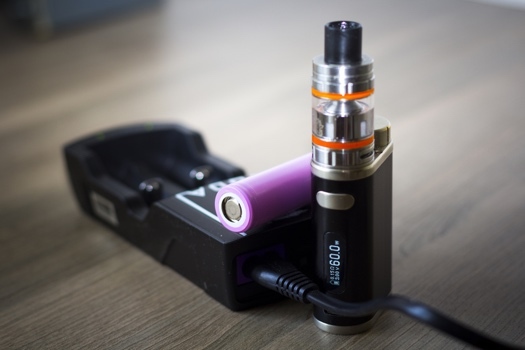 There are still vape devices on the market that lack modern safety features, and using one of them greatly increases your risk of experiencing a battery explosion. Look for a device that offers safety features like vent holes, firing button locks, and protection against over-charging. If your device does have these safety features, don’t disable them. Things like vent holes and fire button locks are designed to prevent batteries from overheating and exploding. If you disable or remove these features, you are no longer protected. The best battery to use with your vape device is the one that comes with it. If you need a replacement or decide to invest in a spare, choose one that is recommended by the manufacturer. You should never mix different brands of batteries or use batteries that have been charged to different levels. Also, never use new and old batteries together in your device. When batteries come in contact with metal objects, it can lead to disaster. If you have an extra battery, store it in a case to keep it from contacting things like keys, coins, etc. A loose battery should never just be carried in your pocket, purse, backpack, etc. While rare, it is entirely possible for a battery to catch fire in your pocket and cause serious burns. Not convinced? Check out this story about a man in the U.S. whose e-cigarette battery exploded in his pocket, causing third-degree burns. Protect your vape and any loose batteries from extreme temperatures. Even when stored in cases, batteries should never be left in direct sunlight or outdoors when the temperature drops below freezing. It may be convenient to charge your vape overnight so it’s ready to go the following morning, but doing so could put your safety at risk. While most batteries have features that help prevent overcharging, those features can fail. If they do, and your device is left unattended, you could have a serious problem. Only charge your vape when you are awake and able to keep an eye on it. 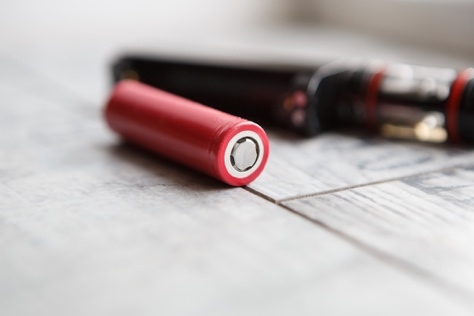 If your vape device gets wet or is damaged in any other way, replace the battery right away. If the device’s battery is not replaceable, discard the entire unit or contact the manufacturer to find out what to do. Damaged batteries are much more prone to leaking or exploding, so they should never be used. Using your mod constantly will eventually result in the battery getting hot. Under normal circumstances, that heat should subside without any major consequences. If it fails to cool down before you put it away, though, it could cause an explosion. Venting occurs in properly functioning batteries when the chemicals inside get hot and begin to emit gases. Your battery’s built-in ventilation system should release the gases and cool the device down, but, if the system fails, the retained gases could cause an explosion. You are much more likely to experience this problem if you are using your device non-stop and not giving it a chance to cool off. Vape devices come with their own chargers. While the charger may look just like the one for your phone or tablet, those chargers cannot be used as substitutes. Your vape charger may be manufactured differently specifically to charge your vape. Using a phone or tablet charger could result in over-charging, a fire, or even an explosion. If you need to buy a new charger, check the power output and input to make sure it is compatible with the amount of energy your battery can handle. If you aren’t sure what type of charger you need, it’s best to visit a reputable vape shop for advice. In doing so, you can avoid incidents where over-charging resulted in an explosion. When charging your device, place it on a flat, clean surface and keep it away from anything that could easily catch fire. Never charge it on your bed or the sofa or another soft, flammable surface. As vaping becomes an increasingly popular alternative to smoking, manufacturers are continually working toward making the devices safer. Thanks to safety features like vents and trigger lock buttons, modern vape batteries typically do their job without any problems. Unfortunately, though, there is always a risk for battery fires and explosions. No matter how minuscule that risk may be, it’s always important to be cautious and take steps to ensure your safety when using one of these devices. A Guide to Finding The Best Vape!! What to do when your vape signals for No Atomizer / Check Atomizer? What to do when your vape signals for Atomizer Short?